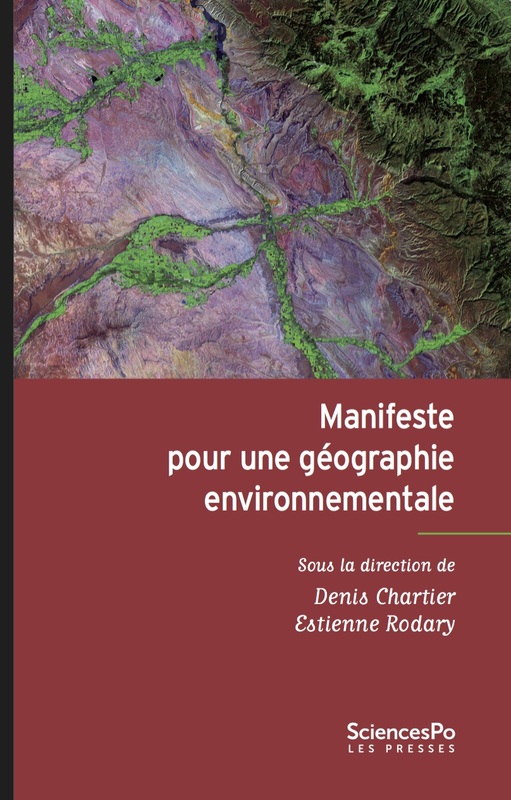 The book’s blurb (see translated version on Stuart Eldon’s site) critiques French geography for refusing to address the “ecological question” from a political angle, and suggests a reformulation of French geography. While the situation is certainly less black-and-white than the juxtaposition of these two conferences suggests, French geography does appear to be facing a generational shift, with newcomers more strongly influenced by theoretical currents in the anglophone literature, including political ecology. The book is a useful combination of reflections on the discipline, international comparisons, and research case studies, as the table of contents reproduced below outlines. Bonne lecture! Quote from conference résumé by Christophe Madeleine. The proceedings were soon afterwards published as an edited volume under the same title (Brunel, S & J-R Pitte, eds. 2010. Le Ciel ne va pas nous tomber sur la tête : 15 grands scientifiques géographes nous rassurent sur notre avenir: JC Lattès). See also diverse critiques, e.g. this one by Yann Kindo or this one by Hautdidier & Morin. This entry was posted on Friday, May 20th, 2016 at 9:32 pm and is filed under Political ecology, Research, Sustainability. You can follow any responses to this entry through the RSS 2.0 feed. You can leave a response, or trackback from your own site. Your comment about the French Geography establishment bordering on climate change denial made me think of the discussion over a beer I had last week with a retired nuclear physicist. It is just unbelievable how many people here, especially some who call themselves scientists, are climate change deniers. That is probably a reflection of the adherence to right wing political convictions. Fox News is big here! I have just started reading our next book for the Men’s Book Club: “Merchants of Doubt: How a Handful of Scientists Obscured the Truth on Issues from Tobacco Smoke to Global Warming” by Naomi Oreskes and Erik Conway. As stated on the back page, this book tells, with brutal clarity, the disquieting story of how a loose-knit group of high-level scientists and scientific advisors, with deep connections in politics and industry, ran effective campaigns to mislead the public and deny well-established scientific knowledge over four decades. The same individuals who claim the science of global warming is not settled have also denied the truth about studies linking smoking to lung cancer, coal smoke to acid rain, and CFC’s to the ozone hole. “Doubt is our product”, wrote one tobacco executives. These “experts” supplied it. “Merchants of Doubt” rolls back the rug on this dark corner of American science.